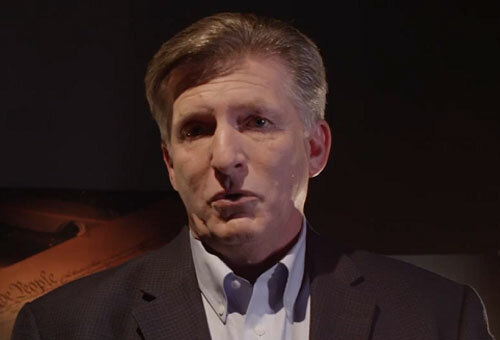 Christian broadcaster and conspiracy theorist Rick Wiles is back with even more rightwing lunacy. This time, he’s claiming MSNBC anchor Rachel Maddow, an out lesbian, will lead a coup against President Donald Trump. Even worse, it’s in a few hours and we’re gonna have to throw together an outfit at the last minute. What’s black and goes with decapitation? “America, you’ve been homosexualized. You’ve been Jewdy-ized. I’m just telling it how it is,” Wiles told viewers. “She was spewing out, last night, calls for revolution. She was telling the left, ‘Take a deep breath, we’re at the moment, it’s coming, we’re almost there, we’re going to remove him from the White House.’ We’re about 72 hours — possibly 72 hours — from a coup. But Wiles wasn’t finished with his hysterical anti-semitism and homophobia. “That is how close we are to a revolution. Be prepared for a mob — a leftist mob — to tear down the gates, the fence at the White House and to go into the White House and to drag him out with his family and decapitate them on the lawn of the White House,” he said.